Hyosung Chairman Cho Hyun-Joon visited the Korean Barrier Free Films Committee and delivered 20 million won in sponsorship for barrier-free film production. Chairman Cho Hyun-Joon supports culture and arts extensively in a bid to create a society where the disabled can enjoy them free of barriers. SEOUL--(뉴스와이어) 2018년 11월 26일 -- Hyosung Chairman Cho Hyun-Joon visited the Korean Barrier Free Films Committee and delivered 20 million won in sponsorship for barrier-free film production. The committee has converted movies into barrier-free versions for audiences, with or without disabilities, to enjoy. It narrates screens for the visually impaired or senior citizens who have difficulties reading subtitles, and subtitles movies for the hearing impaired. Famous actors and actresses, including Gong Yoo, Park Bo-gum and Han Hyo-joo, donated their talents to the production of barrier-free films to help the visually or hearing impaired audiences get impressed by the movies as much as the non-disabled do and know their subjects accurately. 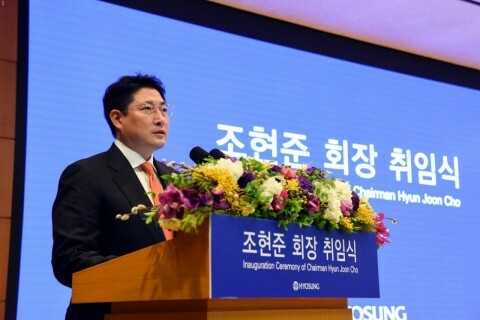 Hyosung Chairman Cho Hyun-Joon has supported film reproduction by the Korean Barrier Free Films Committee since 2017. Sponsored by Hyosung, the committee recreated “Billy Elliot” into a barrier-free version and screened it last year. It plans to reproduce “Sweet Red Bean Paste” and “Midnight Diner 2” to barrier-free standards and screen them on movie theatres this year. Chairman Cho Hyun-Joon supports culture and arts extensively in a bid to create a society where the disabled can enjoy them free of barriers. He sponsors Seoul Art Space Jamsil of the Seoul Foundation for Arts and Culture, funds the creation of artworks by 12 disabled artists and supports their exhibitions. He also patronizes Onnuri Sarang Chamber Orchestra to help the musical activities of students with developmental disorders.